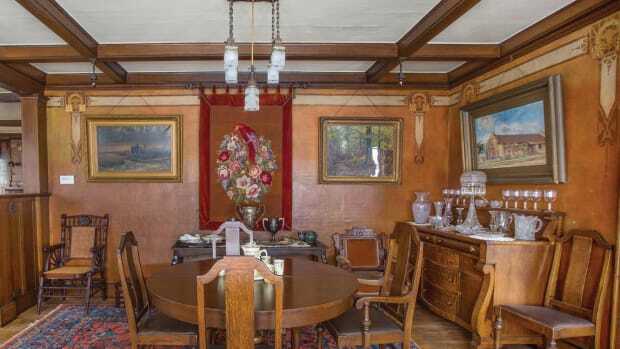 Not all that is Craftsman-related is a bungalow, as this beautifullly articulated 1911 house in St. Paul, recently restored, so eloquently proves. Original blue-green tiles surround the Tudor arch in the library fireplace. Diamond lozenges in ceiling coffers are a Tudor motif. 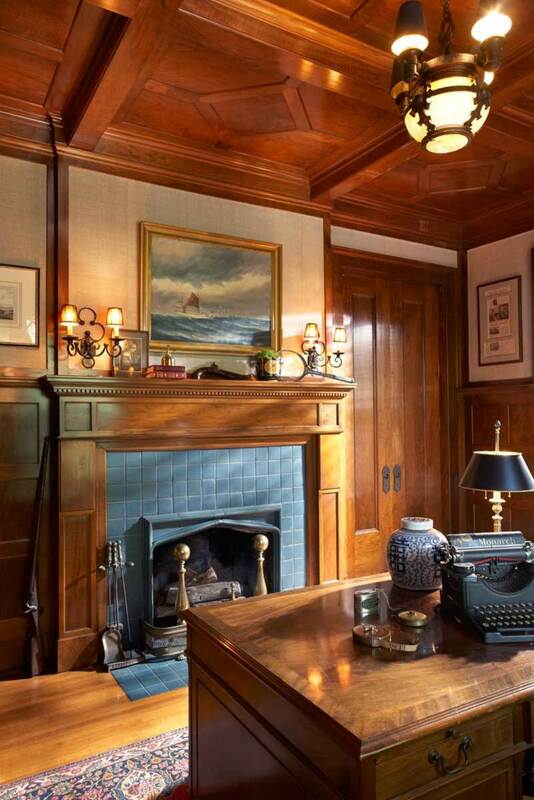 The first decades of the 20th century produced the bungalow, a middle-class housing type that coincided with the popularity of the American Arts & Crafts movement. But prosperity also brought grander homes that exhibited a variety of style influences. 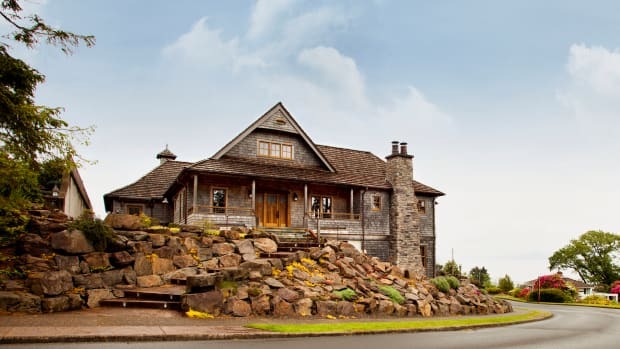 Many of these homes, designed by architects for wealthier clients, shared elements of Arts & Crafts design—whether with English or Prairie or California tendencies. 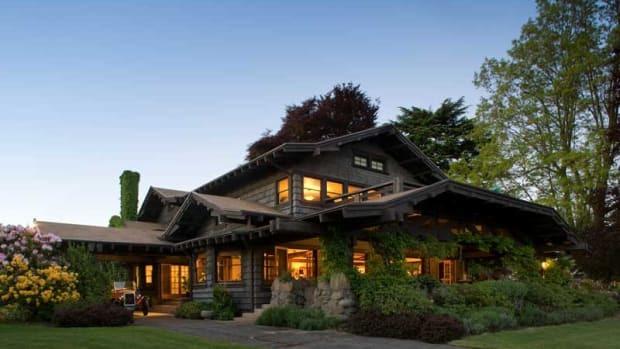 Today we call the houses Tudor or Spanish Revival or American Foursquare or Swiss Chalet; what they have in common is their embrace by Arts & Crafts tastemakers at the time they were built. The facing of the foursquare house is Mankato stone. Carved eave brackets, column capitals, and Gothic hood moulds on first-floor windows enliven the house&apos;s symmetrical arrangement. on Summit Avenue into a stylistic pigeonhole,” writes Paul Clifford Larson, a Minnesota historian himself. The ceiling beams descend in an arc to pilasters on the walls, both carved with a grapevine motif. The Chippendale-style furniture is a standard for dining rooms of this period. Indeed, the house has an underlying Georgian plan, both neoclassical and Gothic ornament—and a foursquare exterior, with a vernacular use of local stone, which clearly shows Prairie School influence. 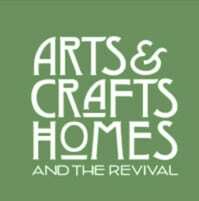 To the extent that Arts & Crafts was not an academic, “period revival” style, but rather called for interpretation of ancient and familiar forms to create comfortable modern homes, along with respect for local tradition and high-quality artisan work, this is an Arts & Crafts house. It is also large and formal and quite unlike a bungalow. The man who commissioned the house was Charles Johnston (1861–1942), who made his fortune buying and selling farmland. Perhaps the stolid, rectilinear aspect of the house recalls the prairie farmhouses in the area, both the cubic Italianates of the 19th century and the more recent foursquare examples. The resemblance stops there, however; this house is monumental with its stone facing, large chimneys, tile roof, and the classical entry portico echoed in a porte cochere around back. 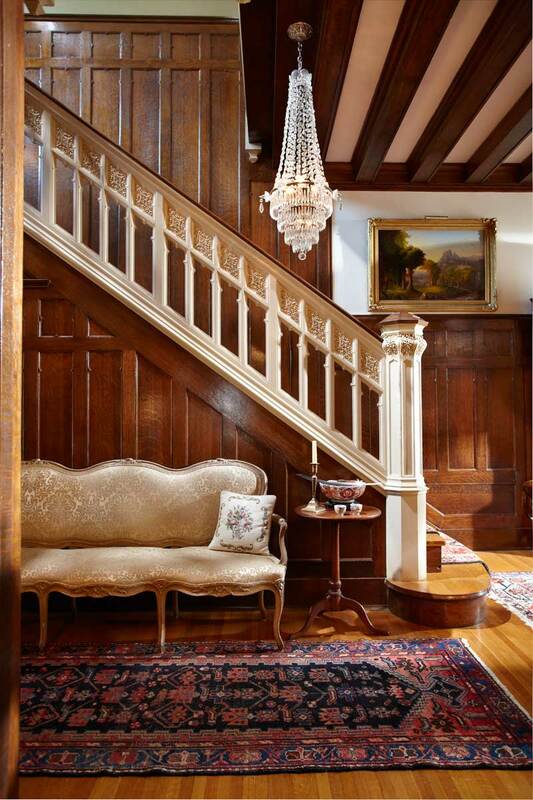 The Tudor–Gothic stair hall features a painted balustrade with Gothic details against a backdrop of carved oak board-and-batten wainscoting. A Louis XV settee adds curvy elegance. Charles and Jennie Johnston’s architect was J. Walter Stevens, who had designed a Shingle Style summer cottage for them in 1890. 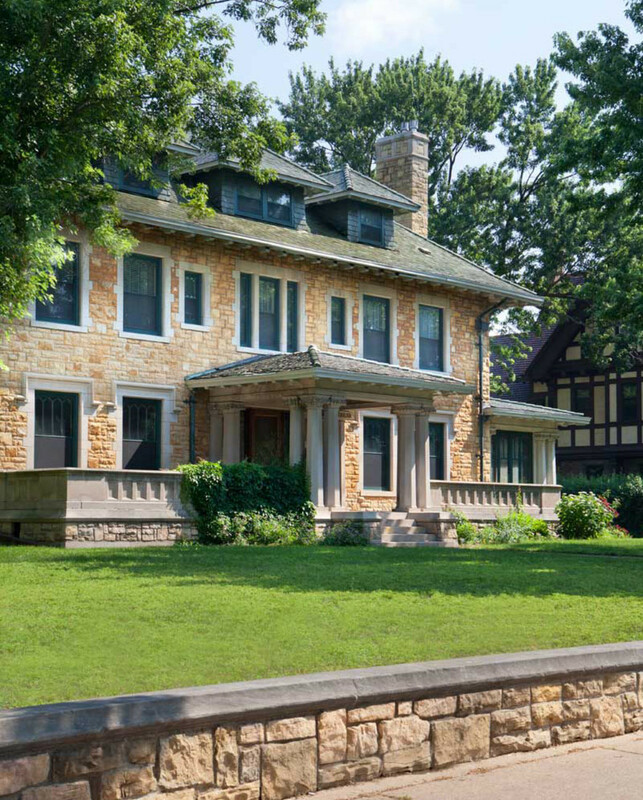 Twenty years later, Stevens’ firm was called again to design the Summit Avenue house. The firm’s buildings are known for their high level of construction and design mastery. 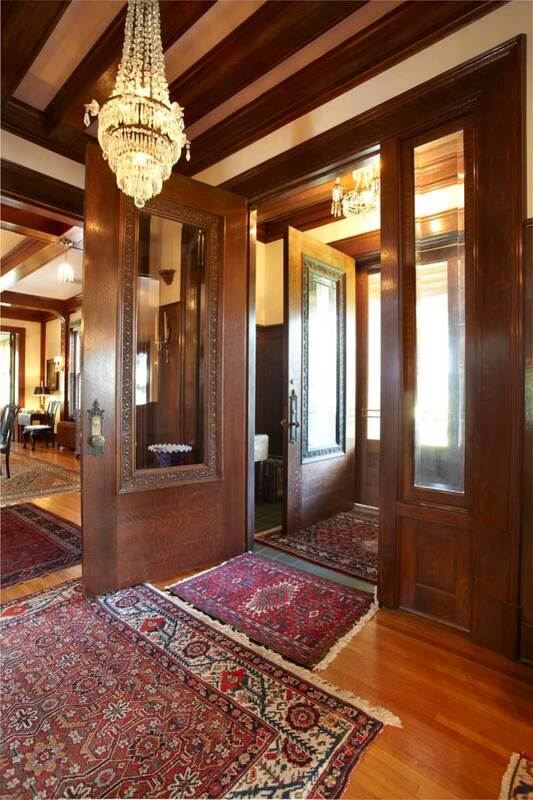 A walk through the house immediately recalls the motifs of the Arts & Crafts movement. Dark ceiling beams and high wainscots come from the same well that fed both bungalow and Tudor interiors. Hood moulds on the first-floor windows, an arched fireplace surround in the library, and the wainscots with chamfered battens have Tudor–Gothic antecedents. Compared to those in bungalows and suburban Tudors, the elements and motifs in this house are, of course, scaled up and elaborate. Ceiling beams in the dining room, for example, have a flowing grapevine carving on the arching pilaster that becomes a ceiling beam. 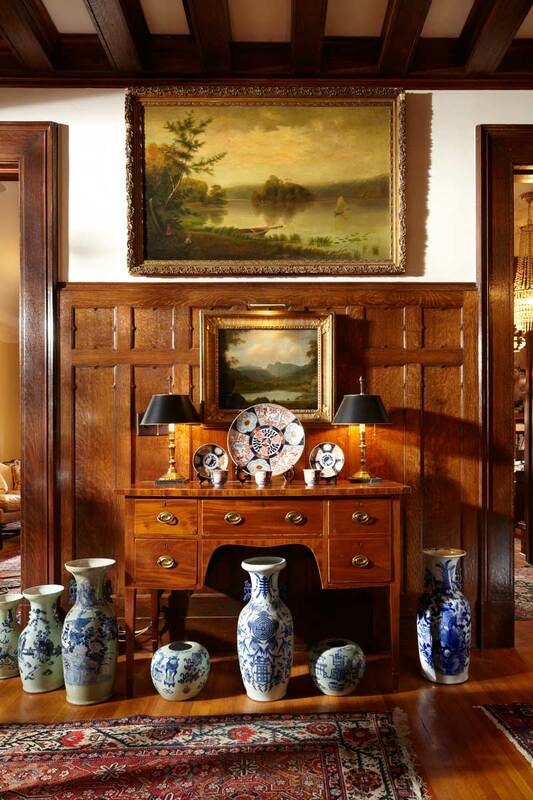 A Hudson River School painting hangs in the foyer, over a collection of Imari porcelain and Chinese vases that stands out against the oak wainscot. The symmetrical plan of the house is an old standard: parlor and library on one side, dining room and kitchen on the other. The broad hall suggests Georgian design. The staircase is an interpretation of Gothic. 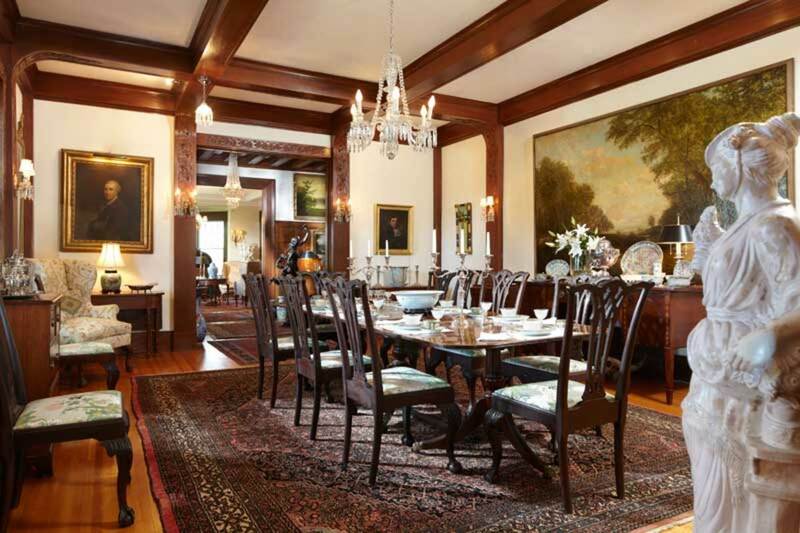 The dining room has a medieval feel in keeping with Arts & Crafts interiors. 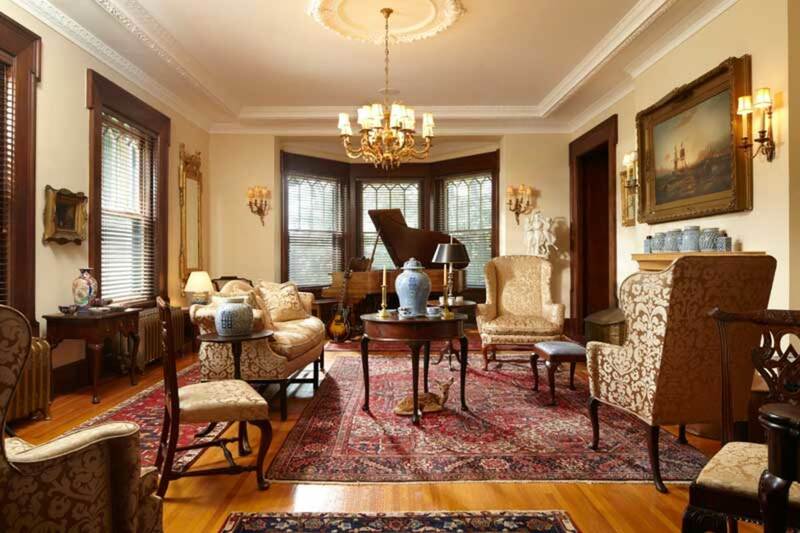 Yet the parlor is light-hearted, with an Adamesque medallion in the plaster ceiling and a faceted bay. In the 1910s and ’20s, outfitting public rooms often ran on gender lines: the library was always masculine, the drawing room or parlor often feminine. 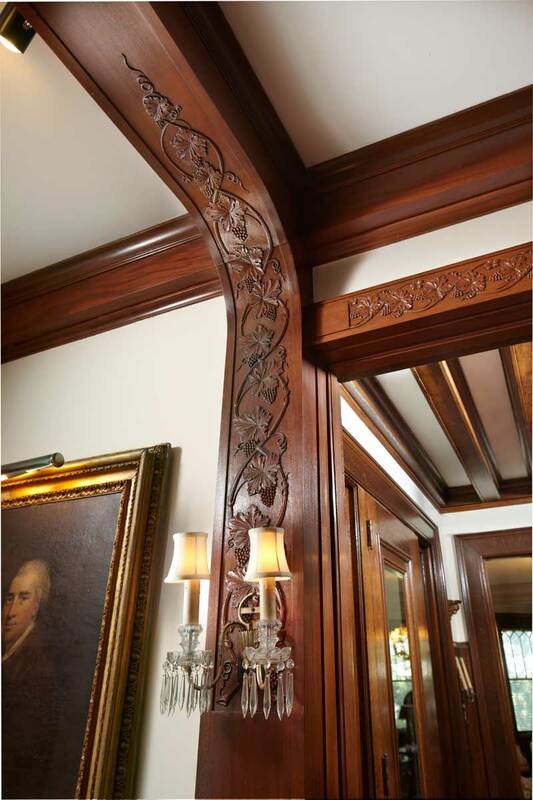 In a bungalow, boxed beams might have a simple chamfer or be stenciled; in this house, they are embellished with a carved grapevine. Current owners Matt and Lori Kustritz report that restoration of the first floor is complete, except for the kitchen. “We find it amusing when our guests say, “Wow, you’re lucky this house was so amazingly intact!” says Lori. “If fact, we’ve done a lot to restore it”—including work on the exterior masonry, some new windows, and replacement of the heating system. The biggest interior project involved the ornamental and plain plaster in the parlor. The couple bought the house frozen—no heat in a Minnesota winter. While chasing water leaks they’d chipped away at the ceilings in entry foyer and parlor to discover that suspended lath-and-plaster ceilings were covering beautiful originals. A team of plasterers—all mature craftsmen in their 70s—came in to do an authentic restoration. As for the lustrous floors: “We didn’t touch them!” Lori says. The symmetrical plan is traditional; a wide hall points to Georgian precedent, while woodwork is Tudor. 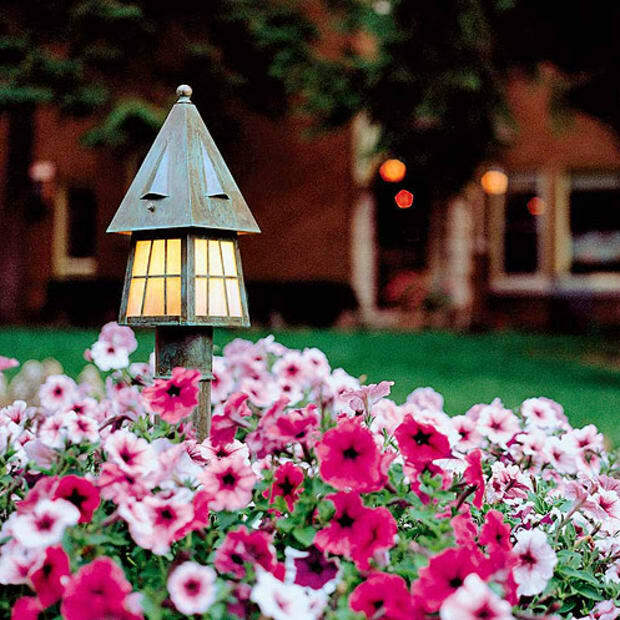 In furnishing the house with antiques, Matt and Lori Kustritz followed its history and spirit. Queen Anne and Georgian furnishings bring lightness to the strongly architectural rooms. 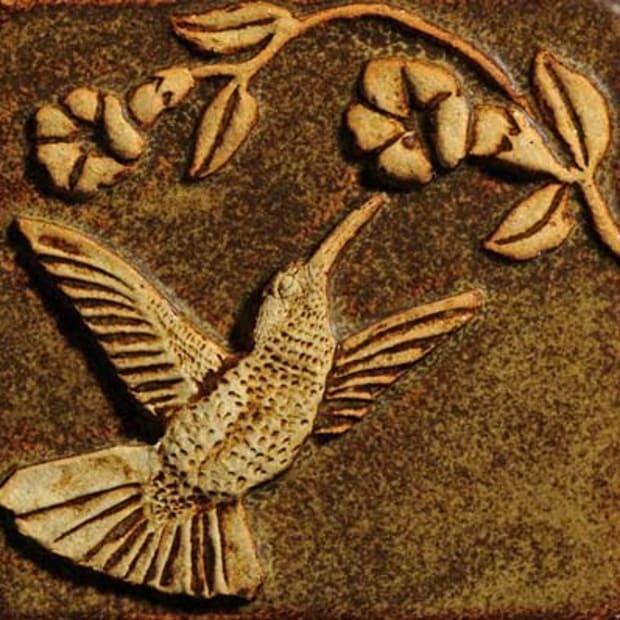 Most of the pieces are 18th century, with a few exceptions dating to the 19th century. In the dining room, the George III three-pedestal table is ca. 1790. The Philadelphia chairs are Centennial vintage, ca. 1875. A terra-cotta figure, ca. 1880, lends personality. 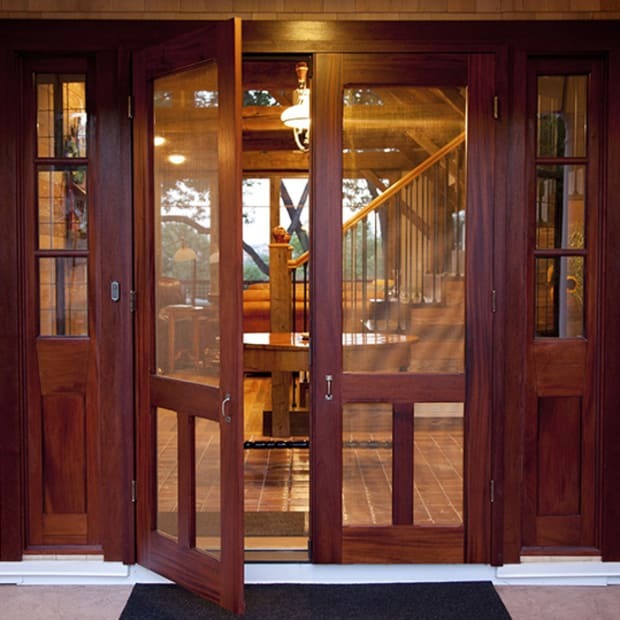 With its flawless woodwork, the elegant vestibule and foyer belie the amount of work the most recent owners had to do to bring back the house. Thanks to historian Paul Clifford Larson, courtesy Big Picture Press, and photographer Karen Melvin for their contributions to this article.